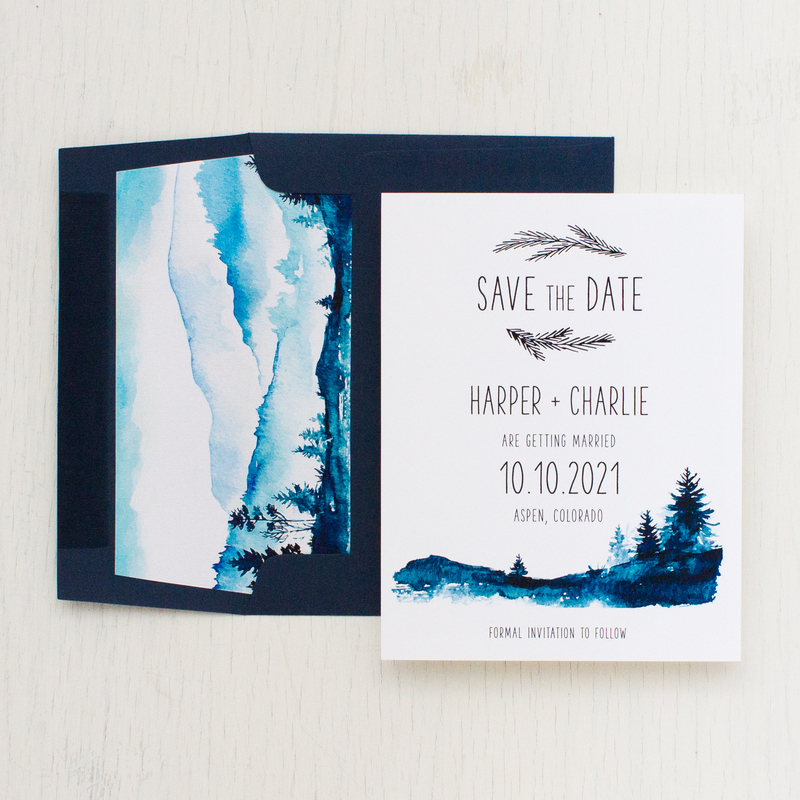 Kraft and navy blue mountain inspired Blue Mountain save the dates. 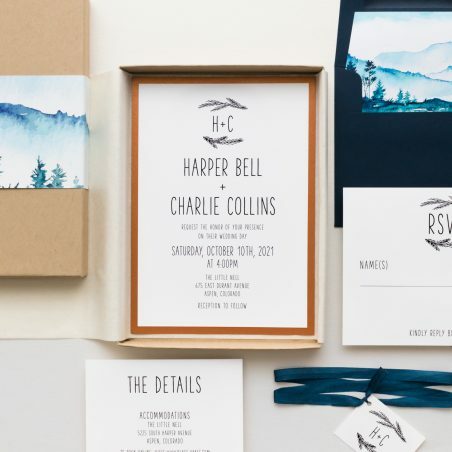 Simple typographic fonts on bright white paper creates a classic, yet modern/timeless look. 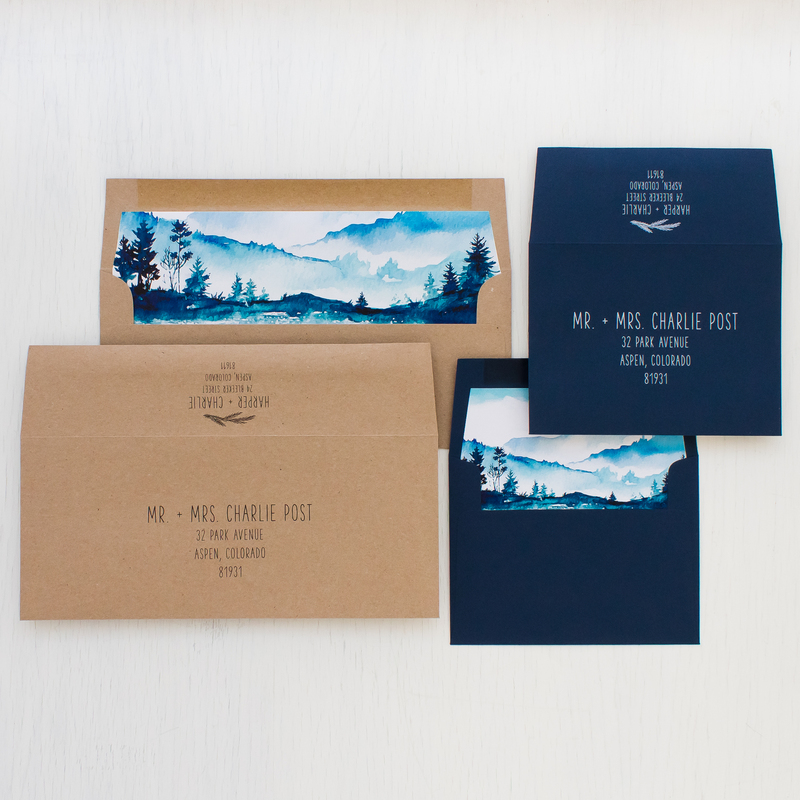 Complete the look and add on hand crafted envelope liners and stylish envelope printing. You won’t regret it! We promise. To calculate pricing, click on the place your order button below. Welcome to our ordering page. Below you can select your save the date size (short card or long card) list your wording personalizations, choose material customizations, enter your quantity & calculate your exact cost. We recommend creating an account to save & edit your selections. 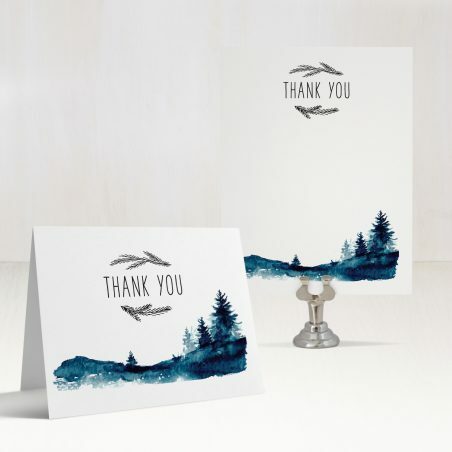 If you would like to order this design with the exact materials that we’ve used in our sample photo, select same as sample below. 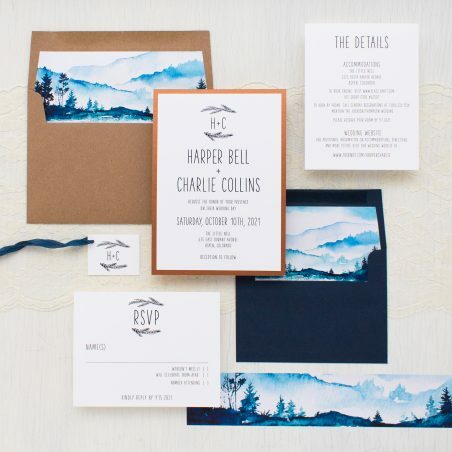 A designer will select best placement for your first proof. Please note any specifics you may have in "anything else we should know" box. 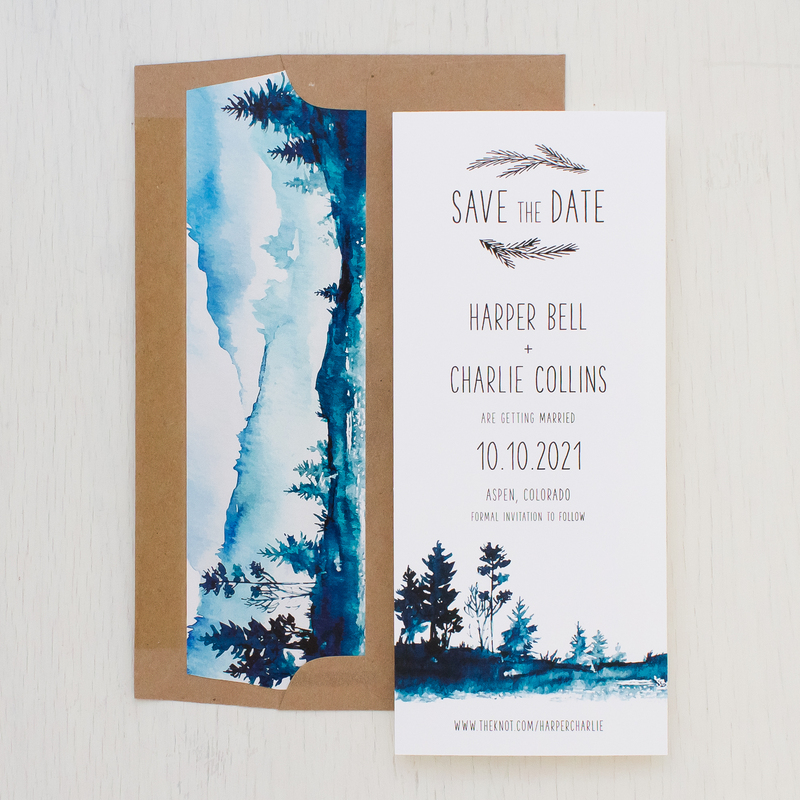 We recommend ordering at least 5 to 15 extra save the dates. If additional cards are ordered later on please note we have a 10 card minimum and $50 set up fee. 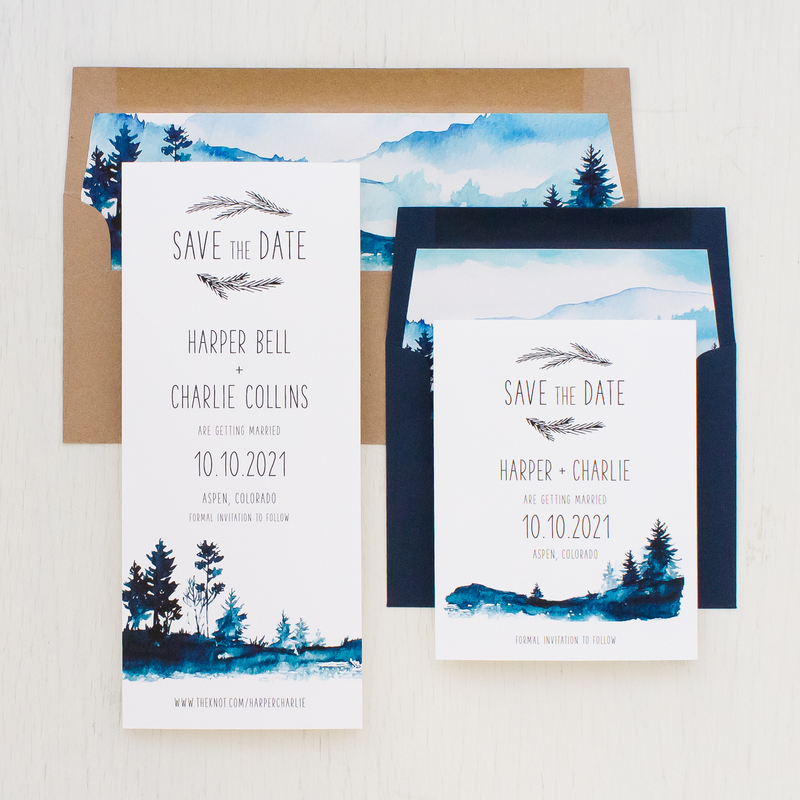 Same as sample includes guest, return address and back flap detail. - Printing not available on some long envelopes. Add an engagement photo to the back side of the short save the date. This does not include wording or graphics over top the photo. Respond to the order confirmation email with your high resolution photo.